In his book about the film They Live (1988), author Jonathan Lethem talks of preserving sequences of film history making a case for when the main character puts on a pair of glasses in that film for the first time. Well, allow me to take a page from my favourite author and offer up an argument for my 6 or so minutes of film that I love, this one involves a character taking his glasses off. It starts with Margot Kidder’s Lois Lane walking across a helicopter platform, it ends with her fainting in that same place, what happens between is pure cinema magic. 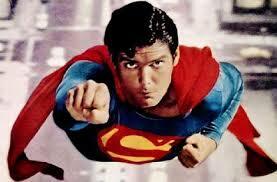 I speak of the helicopter sequence in Superman The Movie (1978). Perhaps it was Director Richard Donner and Editor Stuart Baird’s prior film The Omen (1976) that helped them bring this sequence together, because it starts out with pure suspense. John Williams’ score hits the sharp notes to let us know danger is afoot. We’re scared and Kidder does a great job at selling that fear. Of course, you’re watching a Superman film so you know what’s coming as she dangles from the helicopter, holding on for dear life. Doesn’t make it less suspenseful though. Her shoe drops and our hero Clark Kent finds it, looks up and, without hesitation, knows what he needs to do. Here again, Williams really shines as the hero theme starts to rumble in low. We get humour as the telephone box proves to be an entirely inappropriate spot to change. Cut back to Lois, her hands are slipping and then back to Clark, ripping his shirt open to reveal the S shield just as Williams score hits the right notes. Then, Lois slips, that’s okay, there’s someone to catch you. “Easy Miss, I’ve got you,” that line said with such earnestness damn near sums up the portrayal of Superman by Christopher Reeve, when he says he’s got her, we believe him. 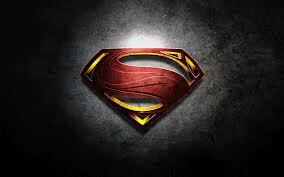 We only see Superman. Then, more suspense highlighted again by the sharp sting of the score, the helicopter is coming down too, that’s okay Superman will catch it. The crowd goes wild, not just on the screen but in the theatre…well, my own personal theatre. Direction, editing, music, acting. They all combine to make us not only believe a man can fly, they mesh together perfectly in a single sequence to make us believe in Superman. Written by Dom Harman for the Astor Theatre on behalf of All Star Comics.